For a lot of kids during Chinese New Year, fireworks and reckless fun go hand in hand. 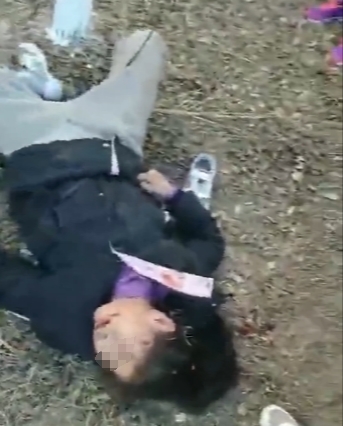 Unfortunately for a little girl in Ningxia, China, her playtime with firecrackers proved to be very costly. 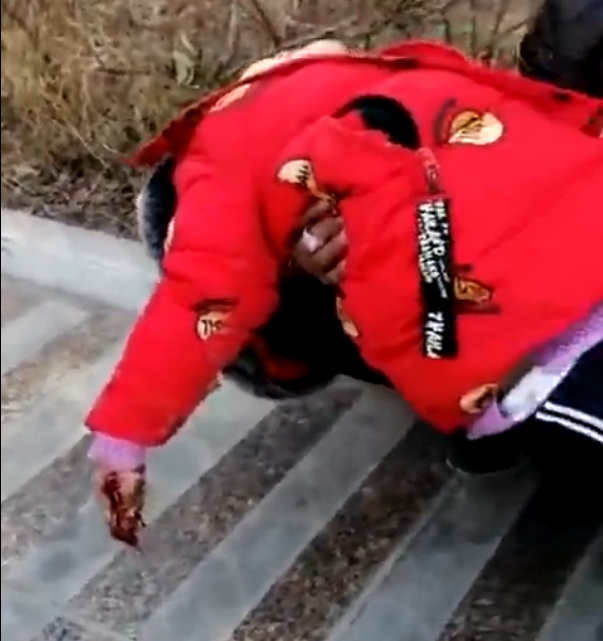 In an incident that happened earlier this week, on Monday afternoon (4th Feb) in the city of Wuzhong, a little girl had reportedly shoved a firecracker into a manhole, causing it to blow up and blast one of her fingers off. Video clips taken in the aftermath have been posted online, showing the effects of the blast. 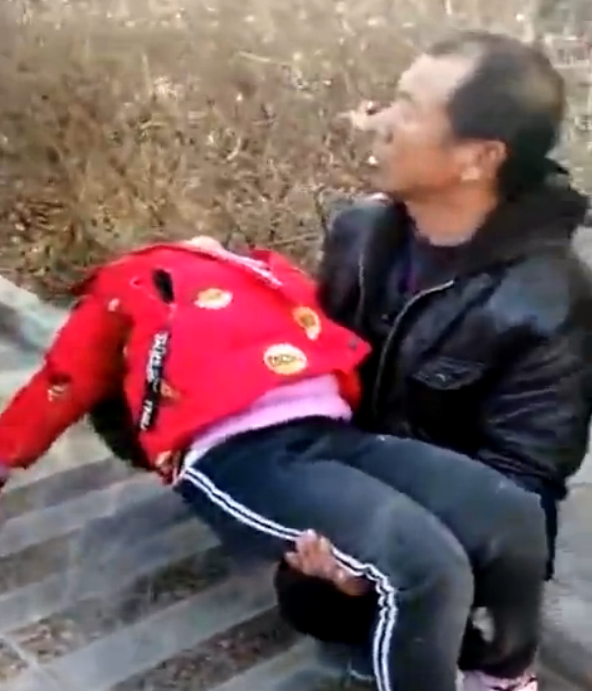 One video clip shows the poor girl, dressed in red, unconscious and being cradled by a grownup. Another clip shows a closer view of her wounded hand that has been burned and bloodied, while missing the pinky finger that was blown off by the explosion. Another little girl dressed in black can be seen laying on the ground, stunned and senseless. 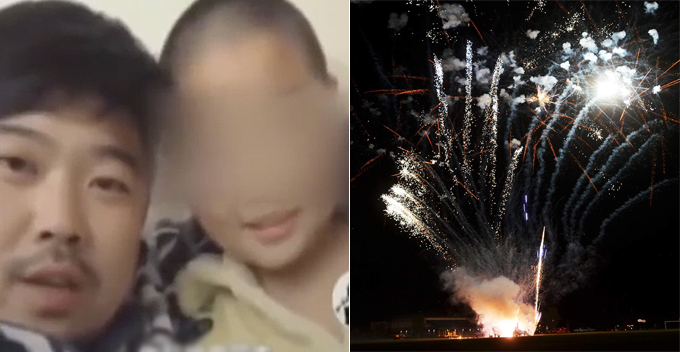 This incident echoes a case that happened earlier this week in the city of Chifeng in Inner Mongolia, where a young boy was nearly blown up after stuffing a lit firecracker in a manhole cover. The violent explosion literally shook the street, tearing up the sidewalk, damaging cars, and sending bricks flying. Playing with fireworks (or any sort of open flame) near manholes are a recipe for disaster thanks to gasses found in sewers (creatively named sewer gas). Sewer gas is caused by bacteria interacting with sewage and is also extremely flammable. That’s also why farts are flammable. Just a small spark anywhere near sewer gas can trigger an explosion. If that wasn’t bad enough, lighting a firework on top of a manhole can cause a two-stage explosion where the first blast lifts off the manhole cover and lets oxygen rush in, leading to a second and much larger explosion. Even smoking on top of a manhole isn’t advisable. Shockingly, similar cases tend to happen all around the world as people underestimate the dangers of lighting fires near sewers. Burns, ear trauma, shrapnel wounds, lung damage, even brain trauma and death can follow such dangerous stunts. So, to all our readers this festive season, please remember to use fireworks in a safe and responsible manner. Oh, and don’t light your farts on fire either, that can kill you too. We hope that the little girl has a speedy recovery. For the rest of our readers, what experiences have you guys had with fireworks? Let us know about your experiences in the comments!